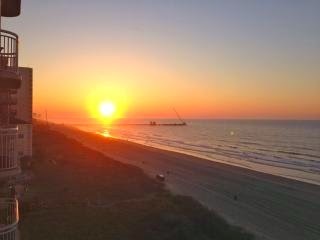 Come visit South Carolina's beautiful Atlantic Coast for golf, fishing, sunbathing in warm weather and numerous outdoor activities, all draw like-minded vacationers to North Myrtle Beach, which hugs the South Carolina coast at the northern end of the famous Grand Strand. In the home of "the shag," the infectious 1930s dance that still swings through the local clubs, a family-friendly vibe prevails. Explore a nature trail filled with migratory birds, go for thrills at one of the local amusement parks or take in live theater. The mild subtropical climate means that outdoor activities are always available. Just remodeled with new bedding, new artwork, complete kitchen remodel completed in January 2013: Full-size refrigerator, dishwasher, stove, built-in microwave, new cabinets, granite and tile, two new LED TV's** Enjoy your next vacation in beautiful family-friendly North.. 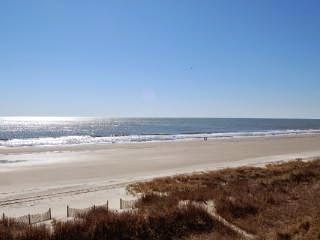 Located in the ever popular Windy Hill area in North Myrtle Beach, our condo in unit 304 at Windy Shores provides a clean and relaxing stay ideal for those seeking a quiet oceanfront experience. A private 3rd floor balcony off our condo and an oceanfront pool and deck offer excellent spots to.. Listen to the ocean waves coming ashore as you fall asleep. 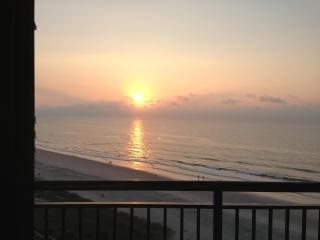 Have your coffee out on the balcony overlooking the pristine beach in front of this North Myrtle Beach condo. Watch the sun rise over the ocean from your living room window. Sun yourself or play on the beach directly in front of the..